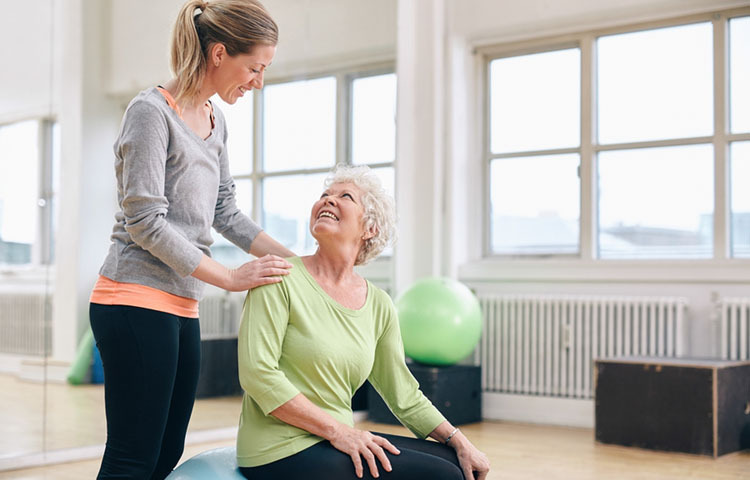 Because strokes often result in some kind of paralysis, early physical treatment is critical to prevent muscle atrophy and to stimulate neural pathways that will help the brain recover. Physical therapy is often used to help patients recover, but a new study shows that Pilates can also be helpful. In this study, researchers looked at 40 patients who had had a stroke. 20 of the patients attended a mat Pilates session twice a week for 12 weeks; the other 20 patients did regular occupational therapy with no exercise component. All of the test subjects were evaluated on physical, social, and psychological scales, both before and after the completion of the study. The authors found significant improvement in the Pilates patients, but no change in the occupational therapy patients: Pilates experienced improvements in quality of life, physical ability, psychological well-being, and social measures. Yun SM, Park SK, Lim HS. Influence of pilates training on the quality of life of chronic stroke patients. Journal of Physical Therapy Science 2017 Oct;29(10):1830-1835. doi:10.1589/jpts.29.1830. Epub 2017 Oct 21.